The Majors and the Ryder Cup have been standout weeks during my work with Sky Sports this year, but one tournament that always has a special place in my heart, despite the rare deluge experienced this year, is the Portugal Masters. I normally stay locally with family, the weather is typically good, the food incredible – I make particular reference to Willies in Villamoura if you haven’t been – and the Portuguese people exude warmth with their welcoming hospitality. This year I went out a few days early for the opening of Quinta do Lago’s redeveloped North Course, which has cemented the prestigious Algarve venue’s position among the best and most exclusive golf resorts in the world. Days after leading Europe to a memorable Ryder Cup victory against America, McGinley was in Portugal to perform the official opening ceremony of the new €9.6m layout, alongside renowned American architect Beau Welling, Quinta do Lago owner Denis O’Brien, and the resort’s chief executive John Dwyer. One of the most talked-about design projects in Europe in 2014, McGinley has redeveloped the course in close collaboration with Welling, and it has the remarkable distinction of being completed in the space of just ten months. I was among the first to put the new-look layout to the test during the official opening day celebrations, and firmly believe that McGinley and Welling have a huge hit on their hands, with the North having the quality and potential to replace the famous neighbouring South Course as QDL’s top track. 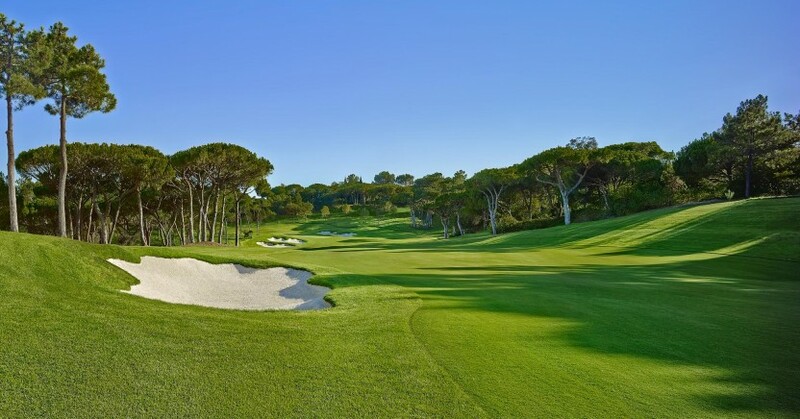 The redevelopment is part of a major €29 million investment programme that has been undertaken by Quinta do Lago since 2009, with a further €21 million set to be spent on improving its facilities over the next three years. In line to become the new number one course at the prestigious family resort, the North Course has been revamped with the emphasis firmly on precision and strategy. While many modern-day developments tend to focus on length, Welling and McGinley have been keen to create a golfing experience where accuracy and course management are the key factors. As well as golf, the culinary experiences are really starting to set Quinta apart. We had the evening celebration dinner at the lakeside Casa Do Lago Restaurant, with seaside shabby chic interiors and gorgeous seafood, and many of you frequent Algarve visitors will have no doubt enjoyed numerous long, lazy lunches at the fabulous Gigi’s on the beach. If you haven’t already, do check out Pure Boutique Café run by John’s charismatic wife Ursula – it’s a superb place for breakfast or a healthy lunch after visiting the gym! A new high quality steak restaurant is next on the agenda to complement the existing gourmet offering. For me, Quinta wins hands down when it comes to upmarket resorts in Portugal, and things are getting even better with the vast amounts being spent on redevelopment. The ambition is clear, the service remains first class, all in all good news for golf fans, many of which choose the Algarve as the number one destination in Europe.